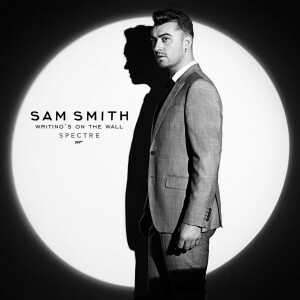 • Sam Smith’s ‘James Bond : Spectre’ theme ‘Writing’s On The Wall’ is one of five songs nominated for Best Original Song for the 2016 Academy Awards. The British singer will battle it out with The Weeknd, who’s up for ‘Earned It’ from ‘Fifty Shades Of Grey’, ‘Manta Ray’ by J Ralph & Antony from ‘Racing Extinction’, David Lang’s ‘Simple Song #3’ from ‘Youth’ and Lady Gaga’s ‘Til It Happens To You’ from ‘The Hunting Ground’. The 2016 Academy Awards will be handed out in Los Angeles on Sunday February 28. • The Cat Empire have brought forward the release of their upcoming sixth album ‘Rising With The Sun’ by a week. Originally slated to drop on Friday March 11, the LP will now impact on Friday March 04. • Hilltop Hoods’ single ‘Higher’ has gone gold. The band’s latest track, which features the vocals of James Chatburn, sold through the 35,000 copies required in little more than a month, after peaking at No.5 on the iTunes chart and No.9 on the official ARIA singles chart. • Laneway Festival organisers have announced official after parties in Sydney, Melbourne and Brisbane, with a stellar line-up of talent taking to the stage at each. Brisbane’s is the first cab off the rank, at The Foundry on February 06, helmed by a Chvrches DJ set. Sydney’s is next – at the Oxford Art Factory on February 07. Punters will be entertained by Fidlar (live), along with Chvrches and Japanese Wallpaper DJ sets among others. Melbourne’s is the last; it takes over Max Watts on February 13, again with Fidlar live, Chvrches and Japanese Wallpaper DJ sets and more. 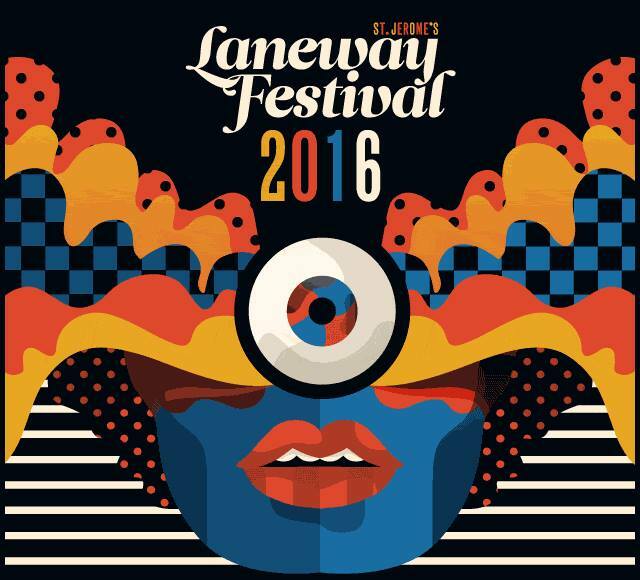 Visit www.lanewayfestival.com for more information. • Sydney soul performer Josué has added a hometown show to his upcoming run of dates. The tour kicks off at the Lass O’Gowrie in Newcastle on Wednesday night, but Sydney-siders will swoon to his smooth sounds at The Vanguard on Wednesday Feb 03. Tickets are on sale now. • Of Monsters And Men have added a second and final Melbourne show to their upcoming visit. As well as their now sell-out show at the Palais Theatre on February 04, the band will now play the same venue the following night. Tickets are on sale from 10am Monday. • There’s still no budging Justin Bieber’s ‘Love Yourself’ from the No.1 spot on the British singles chart this week, but he’s under attack from fresh-faced pop star Shawn Mendes, whose single ‘Stitches’ edges higher again; No.4 to No.2. Not that Justin will be too worried, as he still occupies two further spots in the British top five; No.3 (‘Sorry’) and No.4 (‘What Do You Mean’), with Sigala’s ‘Sweet Lovin’ shuffling from No.8 to No.5. Snakehips’ single ‘All My Friends’ bullets from No.27 to No.11 and the death of legendary singer songwriter David Bowie results in his single ‘Heroes’ re-entering the countdown at No.12. David’s releases pepper the top 100 singles chart this week; ‘Life On Mars’ at No.16, ‘Starman’ (debut) at No.18, ‘Let’s Dance’ at No.23, ‘Space Oddity’ (debut) at No.24, ‘Under Pressure’ (with Queen) at No.43, ‘Lazarus’ (his latest single, a debut at No.45), ‘Changes’ at No.49, ‘Blackstar’ at No.61, ‘Ashes To Ashes’ at No.62, ‘Rebel Rebel at No.65, ‘Ziggy Stardust’ at No.76 and ‘China Girl’ at No.97. • David’s newly released album ‘Blackstar’ (★) debuts at No.1 on the UK albums chart this week, finally knocking Adele’s ’25’ out of top spot after its seven week reign. Adele’s down to No.3, with Elvis Presley’s ‘If I Can Dream’ remaining steady at No.2. Of course, Bowie’s passing results in plenty of chart action for his back catalogue here too, with his best-of ‘Nothing Has Changed’ re-entering the charts at No.5. His ‘The Best Of 1969-1974’ is also back (No.11), as is ‘Hunky Dory’ (No.14), ‘The Rise & Fall Of Ziggy Stardust’ (No.17), ‘Best Of Bowie’ (No.18), ‘Aladdin Sane’ (No.23), ‘The Next Day’ (No.25), ‘Low’ (No.31), ‘Diamond Dogs’ (No.37), ‘Let’s Dance’ (No.42), ‘Heroes’ (No.45), ‘Station To Station’ (No.55), ‘The Best Of 1980-1987’ (No.59), ‘Young Americans’ (No.60), ‘Scary Monsters’ (No.61), ‘The Man Who Sold The World’ (No.89), ‘Space Oddity’ (No.95) and ‘Five Years : 1969-1973’ (No.97). • She spent ten long weeks at No.1 on the Billboard Hot 100 Singles chart in the US, but Adele and her smash single ‘Hello’ have now dropped to No.2, overtaken by the incredibly persistent Justin Bieber and his single ‘Sorry’. Twenty One Pilots are ‘Stressed Out’ at No.5 (up from No.9) and The Chainsmokers’ ‘Roses’ leaps from No.22 to No.13. 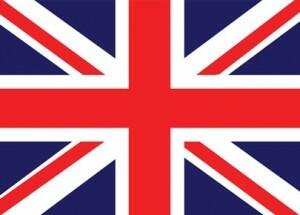 • No change to the top three on the Billboard 200 Albums chart, with Adele still ruling the roost with ’25’. Mister Bieber remains at No.2, with Twenty One Pilots steady at No.3. Rachel Platten’s ‘Wildfire’ was one of few releases to be released at the head of the year and as such, hers is the LP that debuts strongest; No.5. Passion’s album ‘Salvation’s Tide Is Rising’ is next best, debuting at No.19. • We’re anticipating plenty of certification updates, plenty of Bowie and more than a few big moves on tonight’s ARIA charts. And you’ll read all about them in our weekly Chart Watch, live on the site from 6pm AEDT.